The perfect mixture of stylish and practical. The Holyrood day bed is a clever 3 in 1 piece of furniture. 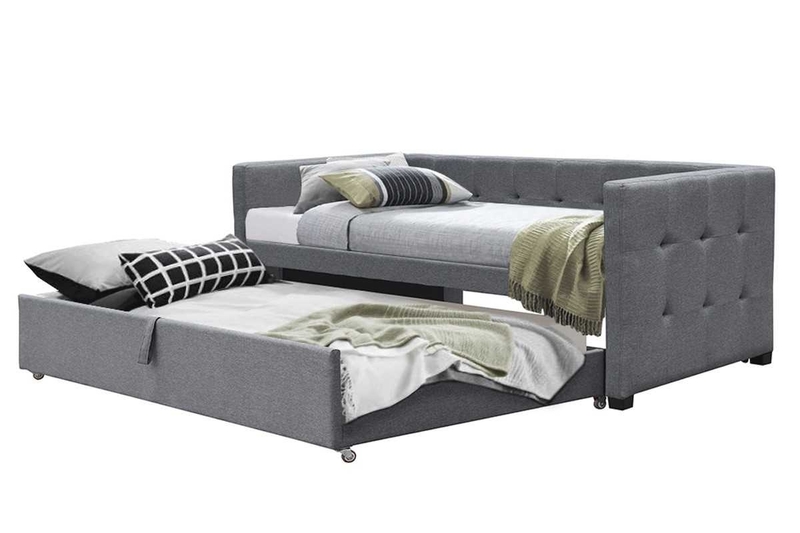 It can be used as either a sofa or single day bed, and then the pull out guest trundle offers a second sleeping space! 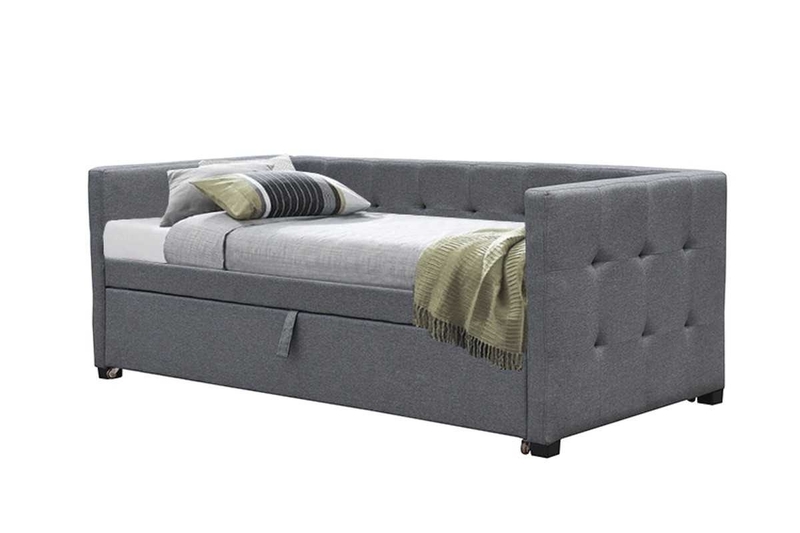 Upholstered in smooth charcoal grey fabric, with tufted detail on the back and side arms. 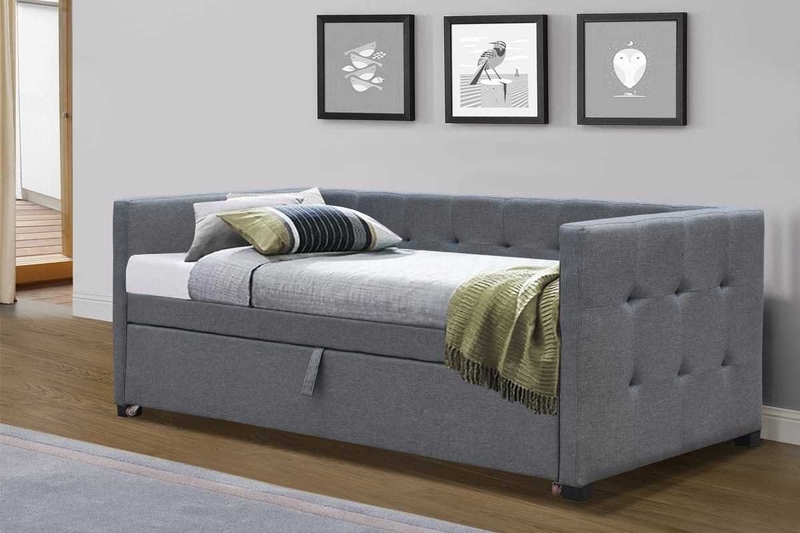 The day bed features black finish solid wooden legs, and the pull out guest bed is on castors for ease. The Holyrood is a great choice for guest rooms, flats or rooms that are tight on space. It’s stylish design looks the part, whilst offering both seating and sleeping space.